Peter Bryer: Mobile Foresight: Now thanks to B-Y-O-D, losing the enterprise market can be as easy as 1-2-3. Now thanks to B-Y-O-D, losing the enterprise market can be as easy as 1-2-3. Shifts happen. Comfort zone, meet my friend Obsolescence. Sure, you set the standard and now you're sitting pretty. But before you know it, some other company will come along and excel in the same product category. My word, how things can change all of a sudden. A few weeks back I wrote of the possibility of Microsoft getting "wanged" during the next decade, that is, being leapfrogged by a greater trend that it has no direct answer to. In that blog post, I pointed to Google's Chrome OS & its low-cost Chromebook, cloud computing, and the working behavior of teens & tweens who don't know of the days of being disconnected. I must say that I find the opinions of many analysts, especially those in their 40s and 50s, rather risible, and a clear reflection of their lack of vision. One analyst I saw interviewed called the Chromebook a "silly" concept because the user "had to always have [an internet] connection or it wouldn't work." I suppose the same argument was made about electricity once upon a time, but now we are practically always connected to the electric cloud. Yes, we are dependent on that. Next issue please. Let's hear that again: Google is in the process of surpassing Microsoft in the platform battle. Across Asia, Africa, Europe, Latin America and even the U.S., Google-developed computing platforms either already have or are about to take the lead. If it doesn't happen this year, it will next year: there will be a new global leader and nobody is really noticing. Insidious! I might be aging myself here, but I remember learning Lotus 1-2-3 back in the '80s. 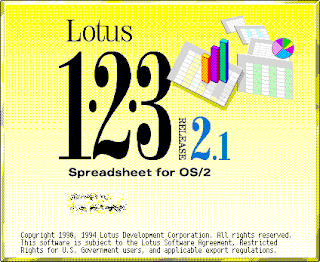 That spreadsheet was such a killer app in its day, that anyone graduating from business school with strong knowledge of "Lotus" was very likely to get a good job based on that skill alone. 1-2-3 wasn't just the market leader in spreadsheets, it was the market. What could go wrong? And here we are again. A shift is taking place that you can tell your grandchildren about. Mobile is merging with desktop, big numbers will dominate over the small, and the crowd will do as it pleases. Go calculate the implications if you like. but not even the likes of an IBM could save it from cremation. "I must say that I find the opinions of many analysts, especially those in their 40s and 50s, rather risible"
Totally agree. I'm amazed that so many people who make their living from opining on these matters don't seem to get Chrome OS at all, even to the point of seemingly not being aware that it does actually work offline.